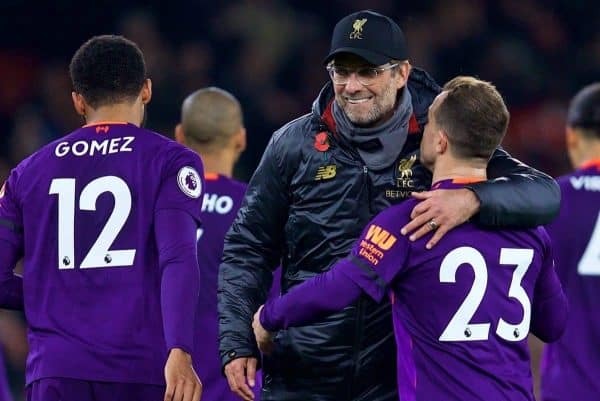 Liverpool boss Jurgen Klopp believes Sadio Mane’s first-half goal was wrongly ruled out for offside in his side’s enthralling 1-1 draw at Arsenal. 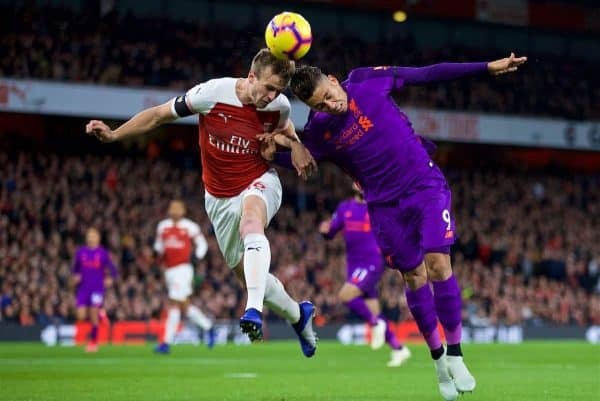 The two Premier League heavyweights put on a brilliant showing on Saturday evening in a high-class encounter that saw the Gunners’ Alexandre Lacazette cancel out James Milner’s opener. It could have been a different story had Mane’s effort being allowed to stand, but the Liverpool attacker was flagged for offside when he tapped in the rebound from Roberto Firmino’s shot which had hit the post. Mane was in an onside position when Firmino shot, but offside when Trent Arnold-Alexander had played the ball to Firmino. Arsenal had previously lost to Manchester City and Chelsea this season, but gave a much better account of themselves against the Reds and deserved a point. Klopp conceded it was an “intense” encounter but declared it a good result. “It was very intense, Arsenal are in a very good moment, I thought we made life a bit too easy for them,” the German added. Gunners manager Unai Emery, celebrating his 47th birthday, was also content with the performance and even happier that his side improved on their previous displays against the top teams. “The result is a good result for how we did in 90 minutes, when we were losing,” he said. “We deserved it because we could have lost, but we could also have won in the 90 minutes. “It was a good test for us. We need more, in our work and tactically also. “But the spirit is like we want. The progress takes time, a long time in football is very difficult to demand. In the three matches (Liverpool, Manchester City and Chelsea), this was a more complete game for us. “It’s very important when you play against City, Chelsea, Liverpool and if you win it’s better. “But the other games are important also. Today is one test, how we are against a team like Chelsea.